When I started crocheting, one of my favorite things to make were crochet flowers. They were quick, easy, and they gave me a chance to try different techniques in bite-sized patterns. If you’re not seeing the image you came for, it might be because I’ve updated this post! This has been one of my favorite posts, but some of the patterns were no longer available. So I’ve updated it with even more free crochet flower patterns, new images, and better-written patterns that you’re going to love! P.S. All these patterns and images belong to their original owners (linked). I didn’t create these; I just wanted to share their lovely work! Small projects like these are great for using up scrap yarn! If you have a messy stash and need to sort and organize, here’s a handy inventory printable I created to make it easier. These patterns aren’t in any kind of order, but they are all ones that I love and always come back to. Go ahead and click on the pictures or the titles to go to the patterns. 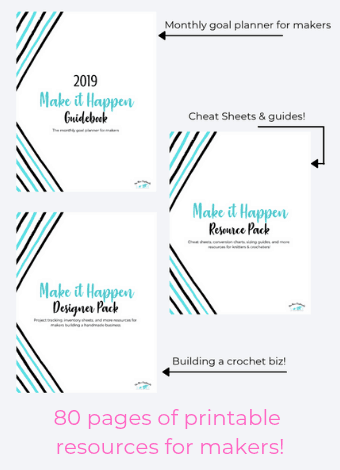 Stay until the very end of this post to see how you can get a free ebook full of patterns and tutorials perfect for beginners. Now, onto the flowers! 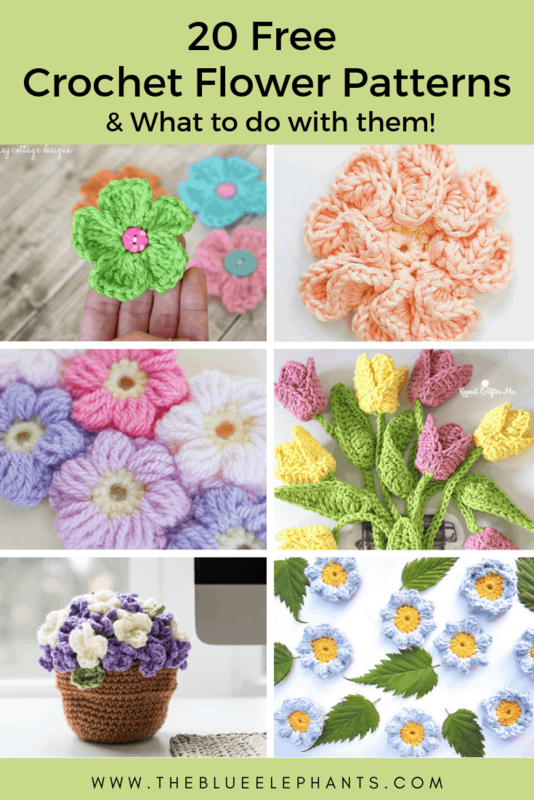 I love crocheting flowers and these are some of my favorite patterns, especially for beginners. Before you go, though, I want to share some tips with you. When you’re just starting out, there are a few things I always like to recommend and one of them is to find simple patterns that you can complete in a day or two. It’s more difficult to stay motivated and encouraged when you start with big projects, so smaller ones like flowers or baby items make it so much easier to learn and get the “instant” gratification. And, as I said earlier, bite-sized patterns like this help you learn new techniques and skills without committing to something that’ll eat up your time. I put together an ebook to teach anyone how to crochet called The Beginner’s Guide to Crochet. It’s filled with tutorials, written instructions, and videos, to show you the basic steps you need to know. With 12 basic tutorials and 12 beginner-friendly patterns (also with video! ), you’ll have it down in no time. There are also some handy resources in the book too! You can get your free copy of it by clicking the image above. 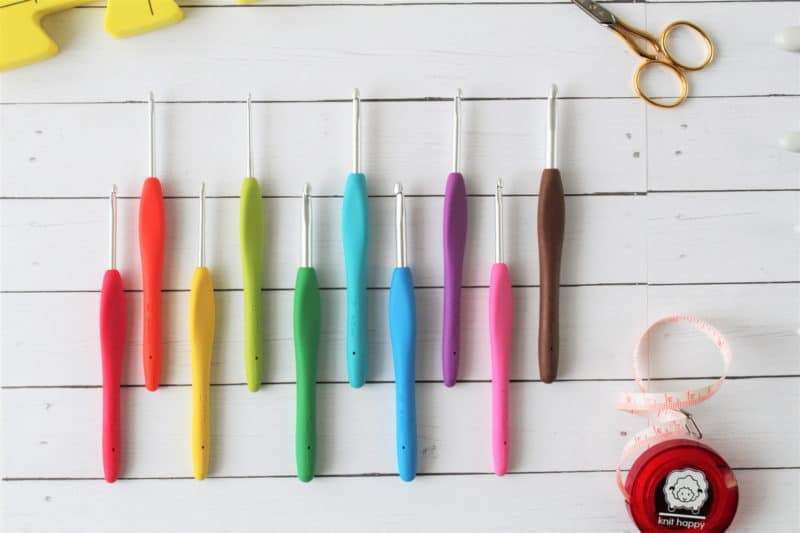 The second thing I like to recommend is a set of really good crochet hooks. Now, this doesn’t mean you have to shell out a ton of money to get top-of-the-line hooks, but it is important to work with quality tools. These are my favorite budget crochet hooks. I love the quality of them and they’re so comfortable to use. Because I crochet so much, I eventually upgraded to a set of Clover Amour Hooks that are a bit more expensive, but totally worth it. Choose whichever set works with your budget! 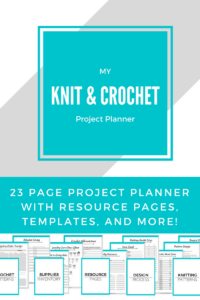 To help you keep track of all your crochet hooks and the different sizing methods, I created a free printable cheat sheet! Click below to grab it. I hope you enjoyed this roundup. If you did, please share it with others! And if you subscribe using the box below, you can get blog updates delivered to your inbox once a week with new free patterns, tips and access to the subscriber-only resource library! Thanks for much for the great patterns and the freebies! If you click on the picture, it’ll take you right to the pattern! I recently ran across your website quite by accident. I signed up a few days ago. I have tried to get the ‘Freebies’ but it won’t allow me to. Any ideas what I may be doing wrong. It asks for a password but I haven’t found where I can create one.Thank you. Thanks for signing up. Check the welcome email you received when you signed up, the password is there in pink. Enter that password into the freebies page and you’ll be able to see everything! Let me know if you have any trouble. I came across your site and what a wonderful delight when I got here. I subscribed to your newsletter and can’t wait to see what’s in there. Thank you for the patterns. Thank you, Gail! I’m so happy to have you here 🙂 The newsletters go out every Saturday and are full of great stuff! I love making flowers with crochet, it’s such a perfect match! Thanks for putting this collection together. Trying to subscribe to your blog, so I can downloadan eBook. I haven’t received the email. Hi Dawn, if you signed up using the bar at the top of the page, it may take up to 30 minutes before the email is sent. I can see that you subscribed, though, so just hang on! Love the flowers.Trying to make them for my grandkids. Aw, how sweet 🙂 Good luck! I’m sure they’ll love them! This whole collection is great! I like the lacy flowers and the crocodile stitch flower the most. Thanks for sharing all these patterns! This is a fantastic collection. And the variety is so beautiful! Thanks so much for linking up to You're Gonna Love It! Pinning! Thanks for sharing all the free flower patterns. I love the Mollie one.